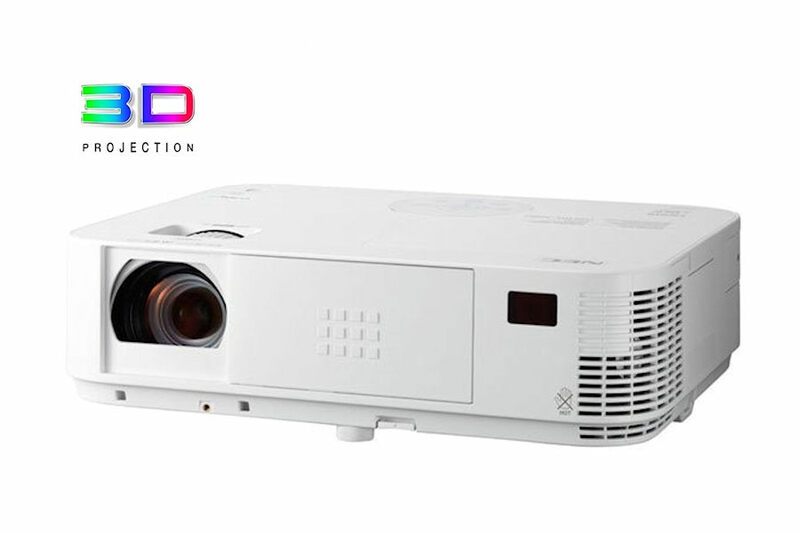 Easy to use and at the right price, M363xg projectors using the latest DLP(R) technology from Texas Instruments provide all the essential features that you need to connect with your audience. 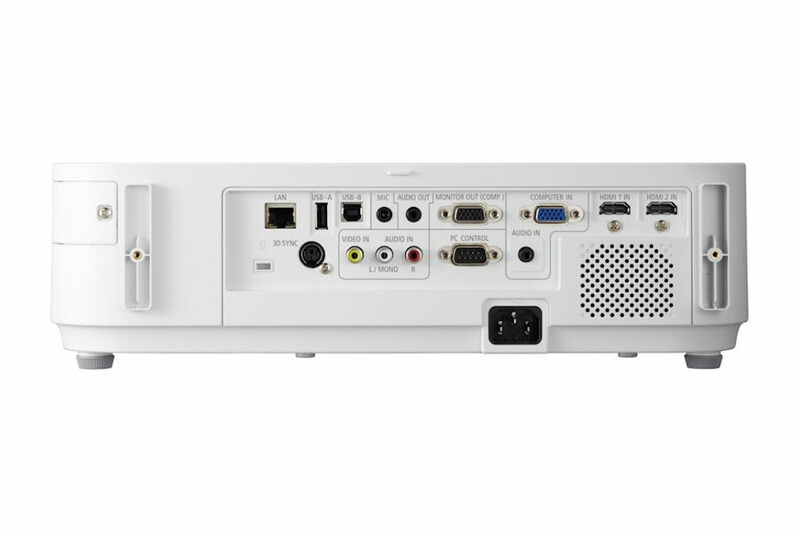 The 3600-lumen, XGA (1024x768) native resolution NEC M363X is ideal for education and small-to-medium-sized business environments that need essential features, including bright images, automatic technologies and eco-friendly appeal. The M363X offers lamp life up to 8,000 hours and a high contrast ratio of up to 10,000:1, while Crestron Roomview aids in emergency messaging. The versatile, color-coded connections to various sources aid in classroom and conference room use, including those in healthcare environments where its DICOM Simulation technology can be utilized. Full 3D display from computer and video sources. AutoSense(TM) intuitively syncs the projector with most computer signals and features one touch optimization. The environment is kept in mind with ECO Mode™ technology, a carbon savings meter, extended filter life, and energy-saving features such as quick startup and direct power off. Take in room collaboration to a new level by connecting wirelessly and displaying information simultaneoulsy from up to 16 devices. 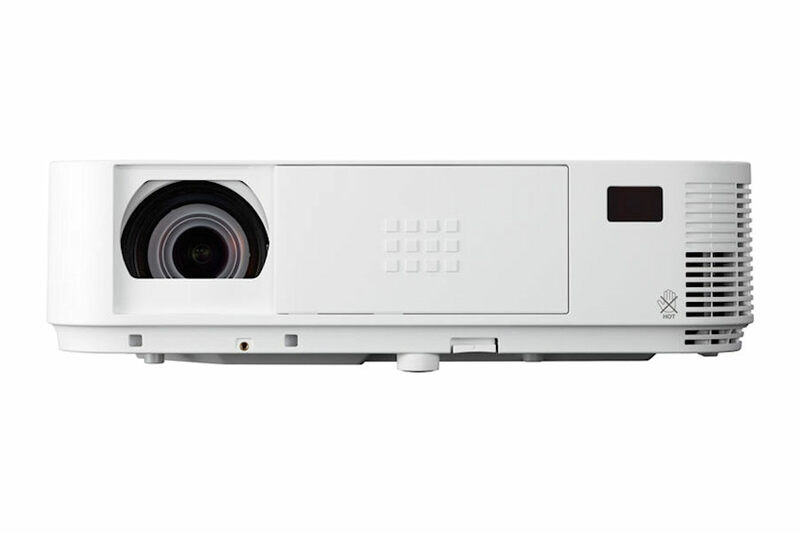 The projector has a 1.7 x optical zoom to cover a wide projection distance, so you can set it up in various locations. You can select a suitable ECO setting from [AUTO ECO], [NORMAL] and [ECO], including [ROOM LIGHT SENSING], [CONSTANT BRIGHTNESS] and [AUTO-DIM], depending on your application. This advanced ECO setting allows you to decrease the power consumption and to prolong the lamp life up to 10,000* hours by controlling the lamp brightness. The latest Texas Instruments DLP™ engine featuring BrilliantColor™ technology offers great 10,000:1 contrast for high brightness images up to 4,000 lumens at Full-HD, WXGA and XGA native resolutions. 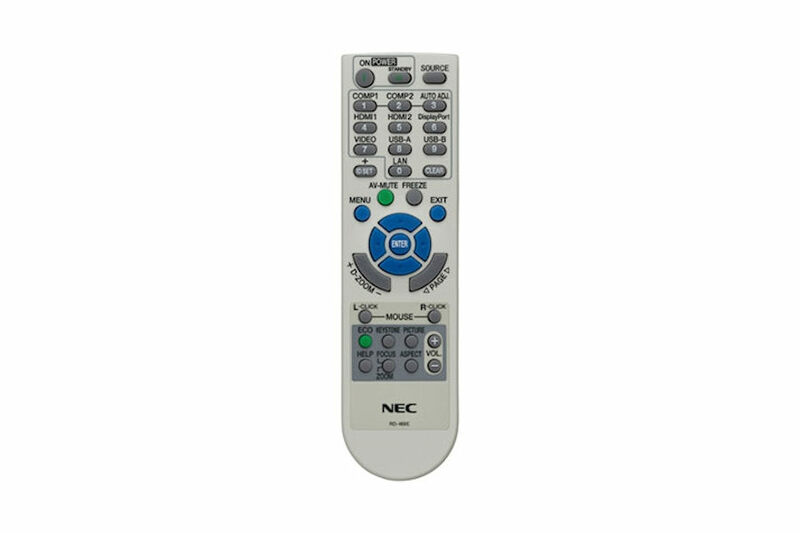 This function allows you to use the remote control to adjust the volume of self-powered external speakers that are connected to the projector. In network stand-by or sleep mode, the audio-out stays active, allowing the last input used to pass to the self-powered external speakers. *Requires an optional wireless LAN module for wireless connection. PCs require the installation of the Image Express Utility Lite software on the included CD-ROM. Smart phones and tablets require the download and installation of our Wireless Image Utility software. 13", 16", 19", 21", 23"
Lamps can blow, if you need your projector working and can't afford down time, you may need to keep a spare lamp. 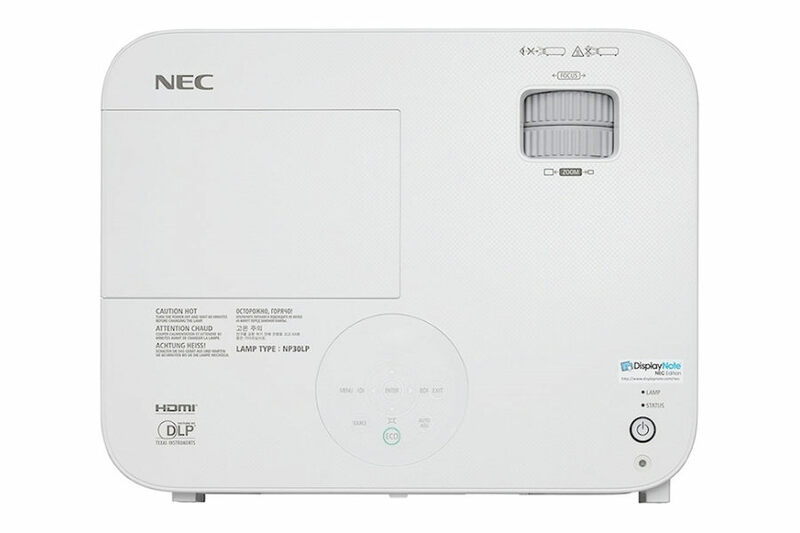 The replacement projector lamp for the NEC M363xg is the NP29LP.